With our help everyone will want to look or walk in! Introducting The INOVO Patio Door! 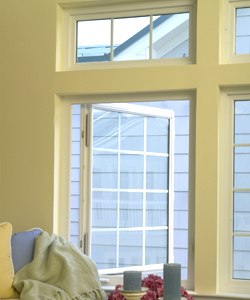 When updating your windows, its a great time to also update your patio door. Here is the latest patio door with the BEST technology on the market! Introducing the Inovo Patio Door by Simonton. Simply watch the video below then contact KMS Systems for your Free Quote. The Inovo Patio Door is designed for a quick installation, from the box into the opening. Our goal is to install your new windows and doors properly and timely. The Inovo door helped us achieve this. With energy costs rising, making sure your home is energy efficient is extremely important. 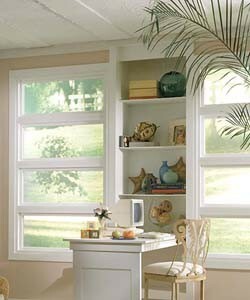 Two areas of vulnerability every home has is loss of energy through older inefficient windows and doors. Let a trained KMS Systems in-home design consultant assist you in choosing the right product and design for your home. KMS Systems features windows and doors manufactured by Simonton Windows and Doors. 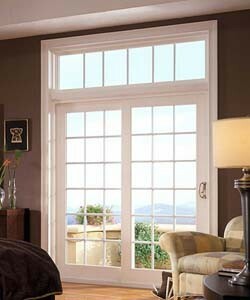 Below are Simonton windows and doors and can be installed by a KMS Systems trained installer. 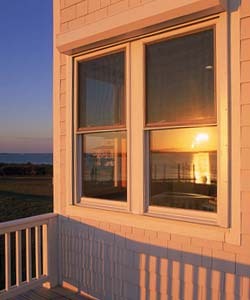 Simonton's window product line includes the Asure, Impressions, ProFinish, Reflections & StormBreaker Plus. Here picture windows are stacked giving a modern look to this office space providing natural light. 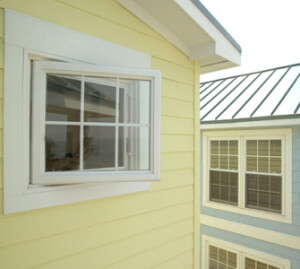 Here a Fixed Transom Window tops a Casement Window both with Colonial grids. Here this Patio "Sliding" Door is topped with a Fixed Transom Window and features stylish brushed nickle hardware and colonial grids.